Economic expansion last longer in regions with more equal income distributions, my IMF colleagues Andy Berg and Jonathan Ostry say in Foreign Affairs. The effect is large. If Latin America, for example, could bridge half of its inequality gap with East Asia, its growth spells would last twice as long as they do now. 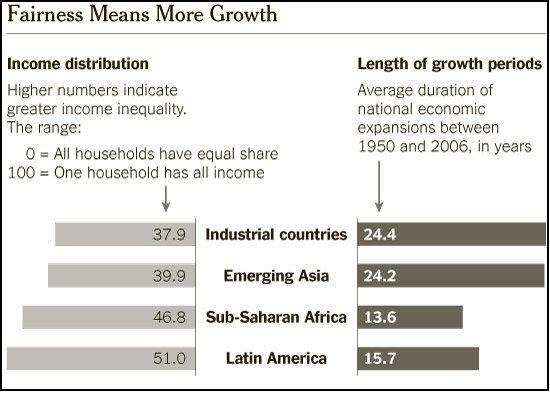 This work is part of a growing research emphasis at the IMF on the consequences and causes of income inequality. In earlier work, my colleagues and I showed that fiscal austerity leads to greater declines in wages than in profits — see this earlier post and a summary of it in the press.